← What happened to Walt’s ‘other’ apartment? 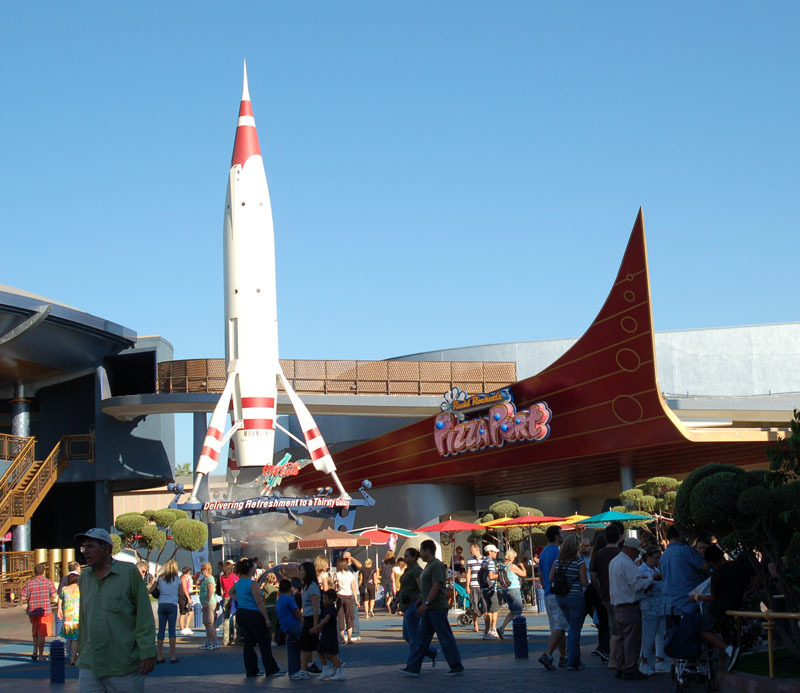 What I thought was the fate of the rocket was that it was dismantled to make way for the Carousel Of Progress in the “New Tomorrowland” of 1968 and carted off to a boneyard located in the northwest corner of the park property. I can’t find any potographic confirmation of that, however, so I turned to the members of the Facebook group “Vintage Disneyland”. Based on the accounts of former Disneyland employees and other Disney historians, it appears that the original Moonliner was cut up into pieces and scrapped (!!!) when it was taken down in 1967. Notice I said ORIGINAL Moonliner, implying that there are more, and yes, there is another story to tell about that as well. In addition to the smaller replica which stands outside Redd Rockett’s Pizza Port (located in the original building that housed Rocket To The Moon), there are 2 others that can still be viewed, both in Kansas City, Missouri. One dates back to 1956, and another that dates to as recently as 2006. The stories behind those two Moonliners is a fascinating one as well and is wonderfully recounted at Yesterland. So, the original Moonliner is most likely gone, which is unfortunate. However, the remaining replicas pay tribute to it, and to those who make it come to life. As the WDI slogan goes, “Disneyland is not a museum”, although it would have been nice to have that piece of history intact. 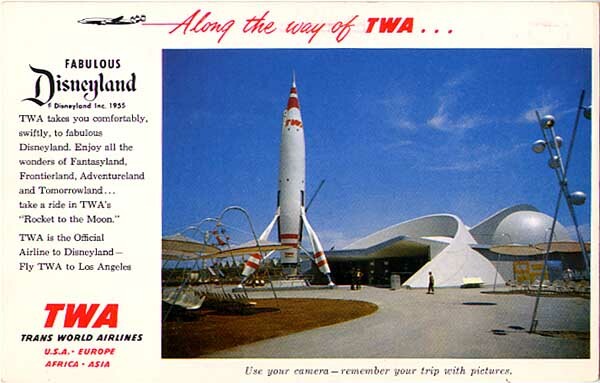 This entry was posted in 1964 World's Fair, Disneyland, Gothic Disney, Tomorrowland and tagged Carousel Of Progress, Disneyland, Howard Hughes, John Hench, Tomorrowland, TWA Moonliner, Wernher von Braun. Bookmark the permalink.